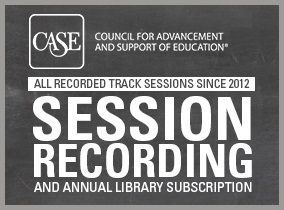 Gain access to session recordings CASE NAIS Conferences from 2012-2019, for a full year! Use this valuable resource to review industry information and continue your professional development anywhere you go. Each audio recording is synched to the presenter's PowerPoint presentation - it's just like being in the meeting room!